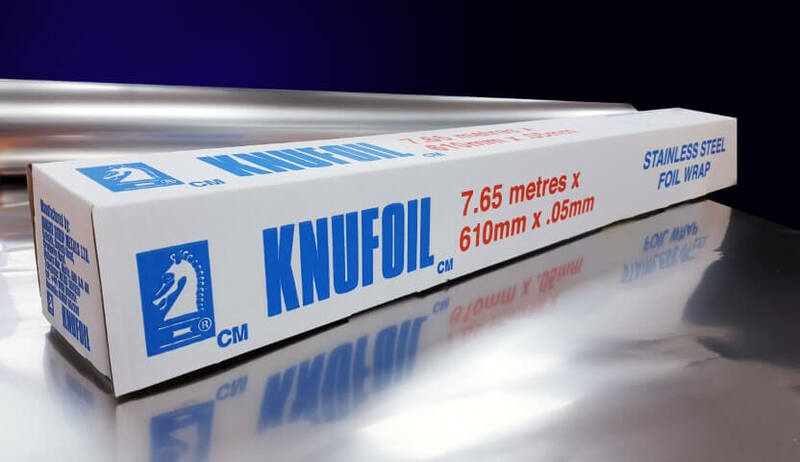 For further information and instructions on how to use our Knufoil Stainless Steel Tool Wrap, please see our KNUFOIL brochure. KNUFOIL is a special Stainless Steel alloy foil, commonly used for tool wrap applications. Our Stainless Steel Tool Wrap provides a quick and low cost method of protecting the surface of tools, dies and other parts during the hardening process by preventing decarburization (scaling). KNUFOIL eliminates the need for expensive protective atmosphere furnaces and the option to use a faster quenching medium.